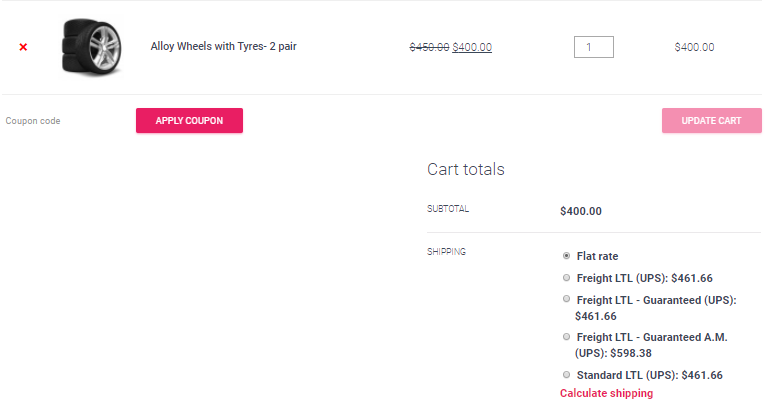 Would WooCommerce UPS Shipping plugin work for Heavyweight Products – above 150 lbs, as well as for Smaller Items? In this article, we will be discussing the heavy products and how to carry out their shipping using WooComerce UPS Shipping plugin. Also, we will be covering the shipping for smaller items along with the heavy items. WooCommerce allows store owners to provide products of various weights and dimensions. this way customers can buy almost any and every product together and get them to their doorsteps. However, shipping all the products is not an easy task as it seems. Especially when there are heavy products weighing more than 150 lbs. Using WooCommerce UPS Shipping plugin you can easily ship products of almost any weight and dimensions. However, in the case of heavyweight products, the most important thing to keep in mind is that these products weighing more than 150 lbs, fall into the category of Freight. These are the products which need to be shipped in a completely different manner. Hence, using the plugin, store owners can enable the UPS Freight services, which will be shown to the customers in case they select the product whose weight is above the 150 lbs limit. The image below shows the option to enable the freight services and the freight services available under UPS. Once you have enabled these services, your customers will be able to get the shipping rates on the cart page. The image below shows the freight shipping options on the cart page. If you are still not getting the Freight Shipping rates on the cart page, I request you to check for the possible reasons provided at this link. So this article covers WooCommerce UPS Shipping plugin. With the help of this article, you will be able to see whether WooCommerce UPS Shipping plugin supports heavyweight as well as small product shipping.